For some adults, the dandelion is just a weed, but not for children. They are the flowers of childhood and play. 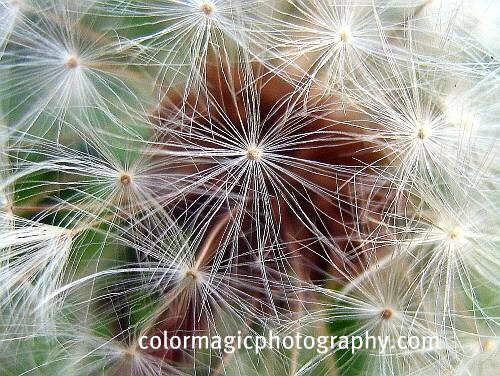 Dandelion seeds on a big puffball awaken in me pleasant childhood memories. Do you recall your granny telling you that you can make a wish and if you can blow all of the seeds off the tuft in one breath, your wish will come true. So, make your wish but don't tell! Now blow on the dandelion! What was once a flower, became a delicate dandelion clock, to all children's joy. What a gorgeous shot, Maia! But if Keeper finds out, I'll be banned for life! This is so AMAZING!!! Lovely job! So pretty and delicate...dandelion beauty in its own right! It's stunning! My girls love to blow these and we have tons of them behind our house. Your photo is absolutely perfect. This is just fantastic. I have a photo, but not macro like this.